The self-proclaimed Islamic State, once estimated to have occupied a third of Iraqi and Syrian territory, has been reduced to a handful of enclaves, bringing a complicated endgame into focus. In July 2017, Prime Minister Haider al-Abadi declared victory in Mosul, as his troops, with U.S. backing, recaptured Iraq’s second city. 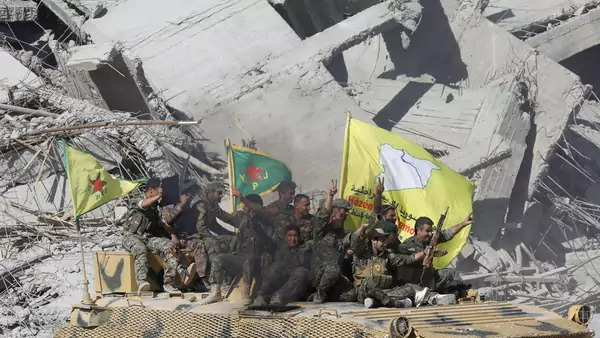 In Syria, the Kurdish-led Syrian Democratic Forces (SDF) recaptured the Islamic State’s self-styled capital of Raqqa in October, and the SDF and forces loyal to President Bashar al-Assad are both closing in on the Islamic State in its final eastern redoubt. 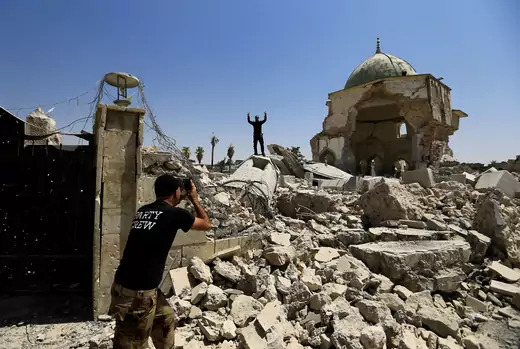 The rapidly receding footprint of the Islamic State has raised the risks for new confrontations as various armed groups in Iraq and Syria, and in some cases their foreign backers, vie for influence in the newly liberated areas. 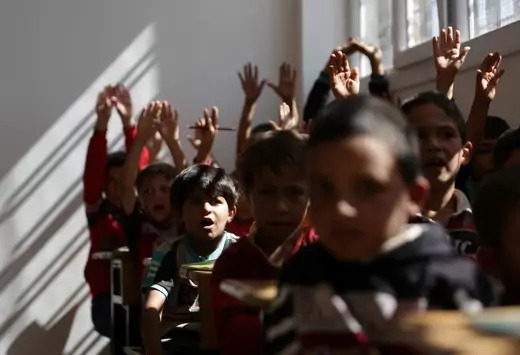 Meanwhile, experts warn that if the victors in both countries fail to make political arrangements that accommodate civilians and facilitate the return of refugees, the hard-fought military campaigns may only lay the groundwork for future cycles of insurgency and counterinsurgency. The following is a sketch of security, displacement, and reconstruction concerns in both countries. The Islamic State’s sweep through Iraq in 2014 highlighted how the Iraqi military had been hollowed out by corruption, but recent advances showed how the force has been reconstituted; it is now regarded by many Iraqis as a professional force. Even so, the counterterrorism forces have been exhausted by the pace of the campaign for Mosul and other major cities, and both Iraqi forces and predominantly Shia militias have faced accusations of abuses, including extrajudicial executions of people suspected of collaborating with the Islamic State and collective punishment of their families. Also on the battlefield are Kurdish peshmerga, whose ranks may exceed 150,000, and Popular Mobilization Fronts (PMFs), predominantly Shia, numbering more than sixty thousand. Many are loyal to Iran, while others are loyal to the Iraqi clerics Moqtada al-Sadr or Grand Ayatollah Ali al-Sistani. A major challenge for the state will be incorporating them into the regular security apparatus. Another will be accommodating local armed Sunni Arab tribal groups. These various armed groups are jockeying to control territory abandoned by the Islamic State. Displacement. More than three million Iraqis are internally displaced. A third of them [PDF] are displaced within Nineveh Governorate, of which Mosul is the capital; some eight hundred thousand people are displaced from the city. Another fifth are in the Kurdish provinces of Erbil and Dohuk, In areas where there was little destruction, such as Mosul’s eastern half or Tal Afar, the displaced have been quick to return home, but elsewhere housing stock and infrastructure have been destroyed and public services remain minimal, and many residents remain in makeshift camps. Tribal leaders in some cases have blocked the family members of suspected militants from returning home. Security. The Islamic State’s remaining presence is more substantial in Syria than Iraq, but with U.S.-backed, Kurdish-led forces declaring victory in Raqqa, territory in Deir ez-Zour Province remains its last stronghold. Islamic State fighters there are under fire from both Bashar al-Assad’s forces, backed by Russian air power, and Kurdish-led ones backed by the U.S.-led coalition. Circumstances will grow even more complicated in Deir ez-Zour Province. New tensions might arise if the Sunni Arab majority there sees Kurds administering their territory as occupiers. Meanwhile, other nearby armed groups may enter the melee as their foreign backers—primarily Iran and Turkey—vie to secure influence in territories that are unlikely to return to Damascus’s centralized control. Among those groups are Iran-backed PMFs crossing over from Iraq and Sunni Arab rebel forces that had been backed by Jordan and the United States. Some observers believe Syrian Kurds are grabbing up territory in the oil-rich province as leverage to press for autonomy under a future settlement. The U.S. military has outposts across this region, and as the Islamic State’s footprint is diminished, clashes between these various forces will grow more likely, analysts say.